With so many people out on bicycles today, it’s more important than ever to exercise safety on the road. We at Spradley Kia want to see everyone safe out on the roads and reaching their destinations safely, so we have some great tips to ensure the safety of everyone. Follow traffic lights and use reflectors after dark. Allow extra room for changing lanes and always signal. Wear a helmet and be respectful of all drivers. 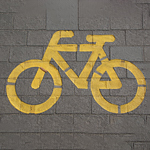 Give bicyclists same right of way as cars and signal when passing. Always follow all traffic lights and treats bikes as cars. If you’re in the need of more safety tips or maybe in the market for a new vehicle, stop at our shop. We invite you to take one of our vehicles out for a test drive.